Hope you all must be aware of the New Book Release by Novoneel Chakraborty. 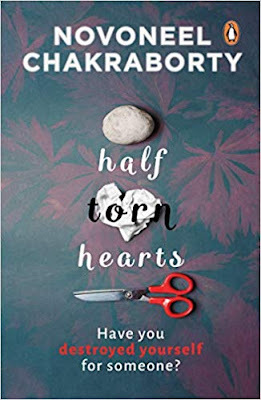 Today its all about that New Book - "Half Torn Hearts". What did you think hearing the Title for the first time??? - Let us know in the comments. "If Both of us have to win,one of us will have to lose "
This made him more nervous and didn't know what to do..He couldn't understand the what was going on.He messaged ,called - but there was no response from that number.He checked the number on True-caller - the name read : Lavi. There poped another voice message. 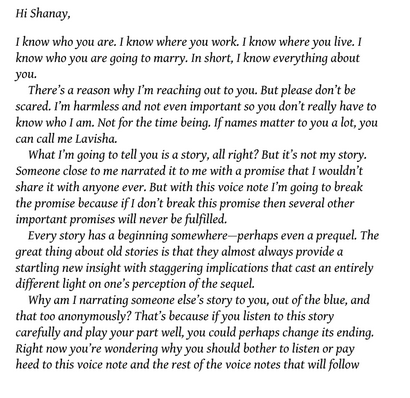 Shanay opened it,little did he know he was the main character of the story. I don't wish to revel the secret here.Read it, and enjoy what was the story about.What happened after that.Did he marry Afsana?How life changed? This is out of box story from Novoneel and I just loved the way he took us with the story.The Narration was just awesome and i couldn't just put the book down before i read it completely.If are you someone who would love reading something romantic with a thriller,make sure you read it.The Female characterization was so apt,Every girl can actually relate it with.And I am sure "Nirmaan" will steal everyone's one heart.A boy every girl will dream for. And about the Book Cover : Its so catchy.I personally read this book for its title, and it has done justice to it. If Both of us have to win,one of will have to lose.Looking at her,Nirmaan now understood what she had meant.His Success had the fragrances of her victory now. 'She didn't want you to know. If a woman decodes not to show her feelings, she won't.'" The pdf version of this book "Half torn Hearts" By "Novoneel Chakarborty" will be soon available on our website. 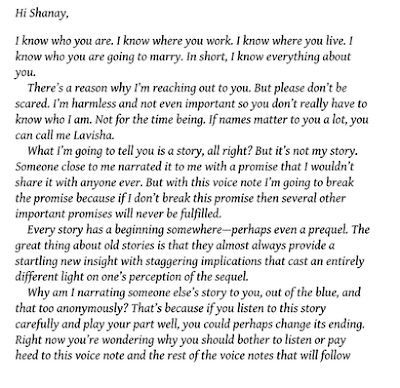 Our team will inform you by email when “The E-book of Novoneel Chakarborty" Half torn Hearts" available. Then you can download free PDF Book from the link. Please join our newsletter for the latest updates about this book. You can also follow our blog to get all latest updates or Just Comment your Email id in the Comment Section. For all fans and Followers of Novoneel this book"Half Torn Hearts" will be a perfect treat.So,Don't miss out to read it.Order the Book to get the Signed Copy of the Author now.If you love someone more, you will be ready to do anything for them.That's how sweet the story is.Don't forget to share your thoughts with us!! Must Read Self Help Book by Paulo Coelho - "The Alchemist"
The Complete Debut Books of Indian Author - What's your favorite?